Dee Dee’s market knowledge, discretion, and depth of marketing resources have led to an impressive sales history. 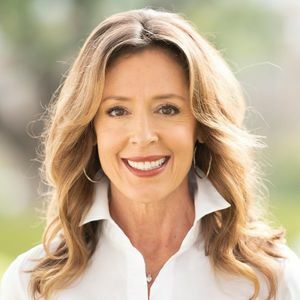 She helps buyers and sellers in every stage of their lives from first-time home buyers to empty nesters, and in price ranges from $300k to $12 million. Clients trust her to maintain their privacy and confidentiality in the strictest fashion throughout their transactions and beyond and to provide them with the finest, most exclusive real estate service in Houston. A passionate member of her local community, Dee Dee has served on the Board of the March of Dimes Guild, founding member of THE CREW, a Children’s Museum of Houston group, board member of Juvenile Diabetes Research Foundation, as Chairperson of the Women’s Hospital of Texas’ Labor Day Luncheon and Style Show, and on the fundraising committee of Heroes for Children. Dee Dee and her husband are members of the St. Luke’s United Methodist Church. When their busy schedules allow, Dee Dee and her husband enjoy biking through Houston’s nature trails and parks, taking in the City’s cultural and culinary experiences, and traveling in the US and Europe. “Dee Dee was awesome to work with. She helped us sell our previous home as well. She was meticulous with every detail of the sale." “Mrs. Guggenheim Howes is an exceptional realtor. Not only did she work hard to find a solution to a difficult transaction, but her attention to detail, professionalism, customer service and her genuine concern for the needs of her clients were the best I have ever experienced. I would highly recommend her as a residential realtor and would be happy to do so if ever contacted." “Dee Dee is the best real estate agent I've met. She was wonderful through our house search and move to Houston. She provided excellent houses to visit, all in my budget, and helped me narrow down to the fabulous house we are in now. I'm very happy with the property, with the process and with the price. Her knowledge of property value and market led to a good negotiation with the previous owner. Thank you, Dee Dee!!" "The affluent homebuyer is a discerning one. After all, when they’re well-acquainted with the best of everything, it’s no surprise that their standards are high when it comes to service. Agents who specialize in the luxury market are already uniquely positioned to best understand the needs of this sophisticated client — because chances are, you’re just as discerning as they are."